Dr. Nancy R. Sobel is a licensed psychologist in private practice in West Los Angeles, CA. 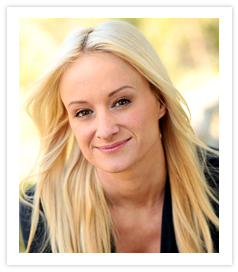 She works with individuals, couples, families, groups and rock bands. She also regularly conducts workshops on healthy relationships and balanced living at the Miraval resort in Tucson, Arizona. Dr. Sobel is widely known for her work in the entertainment industry and has designed a unique style of therapy for musicians and artists who spend large amounts of time on the road. She developed the clinical portion of MusiCares, a charity for impaired musicians funded in association with the National Academy of Recording Arts and Sciences. Dr. Sobel specializes in the treatment of trauma, addictions and compulsive disorders including sexual, financial and relationship. Dr. Sobel has worked in the addiction field for over thirty years and has consulted in the development of treatment programs in the United States and abroad. Dr. Sobel has a lifetime commitment in the nonprofit world starting in the 70’s by helping to develop the Boston Center for Independent Living, the first independent living center in the country. She is on the board of Boarding House Mentors, a surf and environmental education program for at-risk youth. Dr. Sobel co-founded Global Adolescent Project, whose mission is to educate, encourage and empower at-risk youth in impoverished communities starting in Haiti and around the world. Dr. Sobel has been a guest expert on numerous television and radio programs including The Oprah Winfrey Show, E True Biography, and KCRW’s Which Way L.A.
Daniel is an award-winning live multi-camera director and producer specializing in live music TV specials. He has directed and produced over 100 projects in the past 10 years alone for such notable artists as Dave Matthews Band, Rush, Nickelback, The Black Eyed Peas and Godsmack. He has won or been nominated for over 50 International Awards including 4 Grammy Nominations, 16 Telly Awards, 4 Golden Eagle Cine Awards and many others. Daniel has been very involved in non-profits over the past decade and in addition to G.A.P. is heavily involved with the Wheelchair Foundation, a division of Global Health. He has traveled to various Countries doing non-prpofit work, including Panama, Mexico and Haiti. 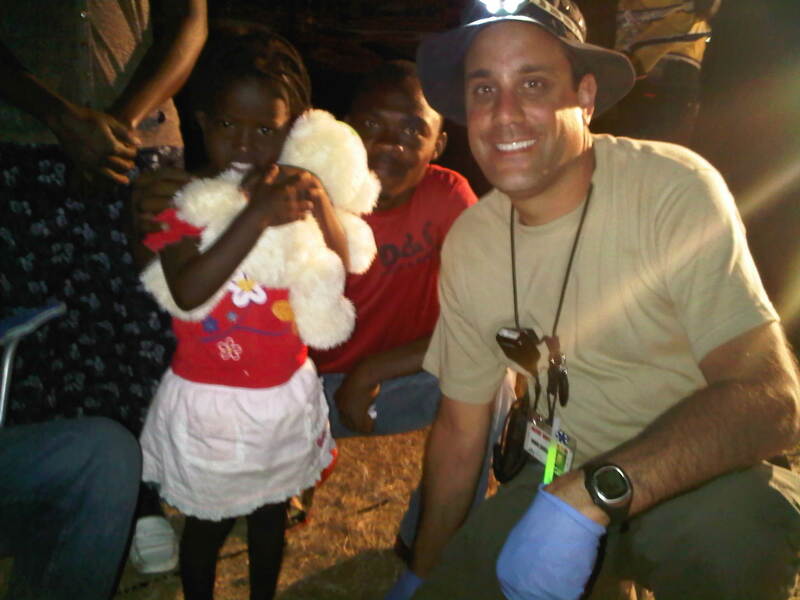 In January 2010, Daniel organized one of the largest private relief missions to assist the victims of the Haiti Earthquake- “Plane To Haiti”. Daniel reached out to many celebrity friends and clients to achieve this including New Kids On The Block, Julienne Hough, David Archuleta, Godsmack, Scott Stapp, Creed, Alter Bridge and Tom Morello from Rage Against The Machine. He partnered with the Wheelchair Foundation, Medshare and Partners In Heath and in 48 short hours, raised over $1 million in cash and 3 tons of medical supplies. He also managed to get a donated private plane from Ken Behring to fly the supplies and his team down to Haiti. He flew a team of 35 medical professionals and volunteers to Haiti and set up private medical clinics on Port-Au-Prince and Leogone. 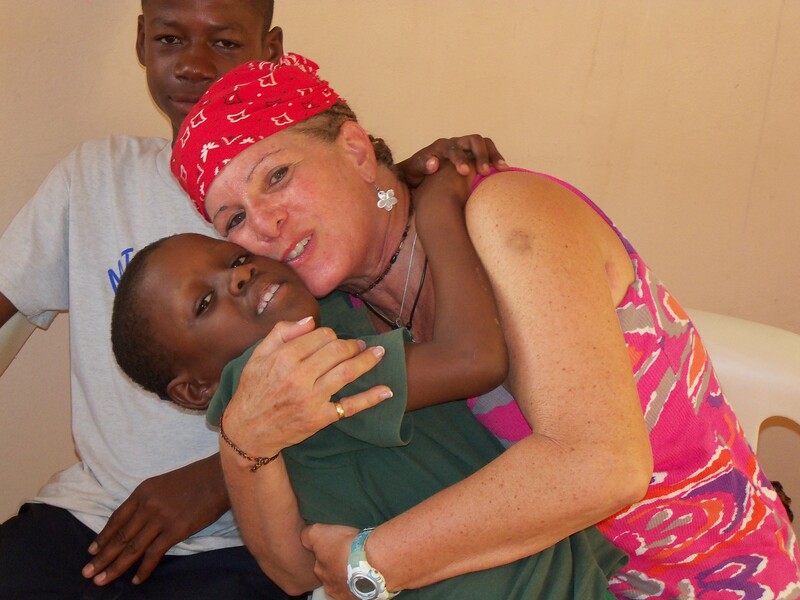 Dr. Nancy Sobel was one of the medical professionals who was a part of this trip, thus inspiring her to start G.A.P. with Matt. He lives in Laguna Beach, CA with his wife Madelyn and their 6 year old daughter, Isabella. Elle began her career in the event industry as the Event Coordinator for a few of Hollywood’s most premier promotional companies. Moving on to venue management & marketing, she worked for 5 years as Director of Marketing & Promotions for The Sunset Entertainment Group and 2 years as Director of Special Events for The Downtown Entertainment Group. Seeking to diversify her expertise, Elle then served as a private consultant for venues across Los Angeles & Orange County as well as the Director of Catering for a special event & motion picture catering company. In addition to being a Certified Conference Management & Event Specialist, she holds her BA in Business with an emphasis in Psychology from Pennsylvania State University. Elle has produced events for The Reelz Channel, The Silver Spoon Gifting Suites, The Oscars & The Emmy’s, premiere after parties for IFC & HBO, brand activations for TravelAlberta.com, NHL Network, Kia Motors, Digital River, Vail Valley Foundation, SkyTech Sports and private performances by Prince, Linkin Park & Moby. Elle has debuted venues at Sundance Film Festival in Park City, Utah with major corporate sponsors like Grey Goose & Red Bull. Nicole was born and raised in Petionville Haiti. She moved to the U.S. in the early seventies. Nicole is an operating room nurse and has been a nurse for nineteen years. Having raised a son who is now an adult, she believes in helping and empowering young men and women particularly to further their education. She is a member of Living Hope Haiti and has traveled to Double Harvest in Croix des Bouquets on numerous surgical missions both before and since the 2010 Haiti earthquake. Amanda co-founded Visions Adolescent Treatment Center in 2001 and has successfully led her team on a mission to broadly expand Visions to include a Day School, a gender-specific Extended Care program, and a young adult program. Amanda strives to ensure these programs provide exemplary care to each family. She has worked in the field of recovery for over a decade and adolescent treatment has been the focus for the majority of her career. Amanda is a Level Two Certified Alcohol Dependency Counselor, holds a Masters Degree in Clinical Psychology and is currently working on her doctorate degree. Amanda specializes in the treatment of adolescent issues which include personal recovery, mental health, coping skills, substance abuse awareness, life skills and aftercare planning. 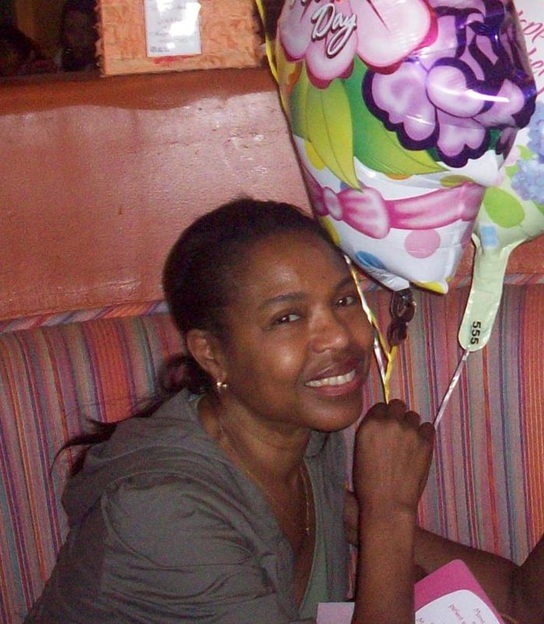 Additionally, Amanda also was the co-founder of a non-profit chemical dependency facility in South Los Angeles, and she is a current board member for the non-profit organization Angels at Risk. Amanda is a member of the PAC for ICDC schools, where she helps ensure that the education of up and coming chemical dependency counselors is cutting edge and useful in practice. She has also been featured as an expert in the field of addiction and adolescent mental health in print and media. As a mother of four, she understands how difficult it is to allow others to help take care of your child and how important it is for the family to be included in treatment. Amanda believes that in order to enjoy recovery, laughter and fun must always be a part of daily living. 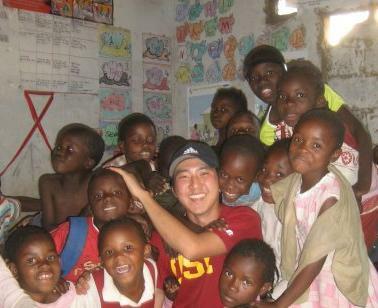 While completing his Masters of Public Health at USC, Lawrence recognized both the wealth of resources as well as the lack of leverage in the nonprofit sector, and launched his first nonprofit. After graduating, he spent a year in Zambia at a NGO that follows the largest heterosexual HIV-discordant couples’ cohort in the world, gaining valuable leadership experience especially working with limited resources. A serial social entrepreneur, Lawrence has a passion for working with vulnerable and underserved populations through creative solutions. One of his greatest passions in global health is catalyzing cross-pollination between different disciplines and sectors to develop sustainable partnerships, redefine paradigms, and combine resources to create unique opportunities while bringing stronger management principles and business strategies to the field.